Aluminium Windows and Doors have gained a huge market segment in wall fitting industry by combining latest technology and innovative designs in recent years. 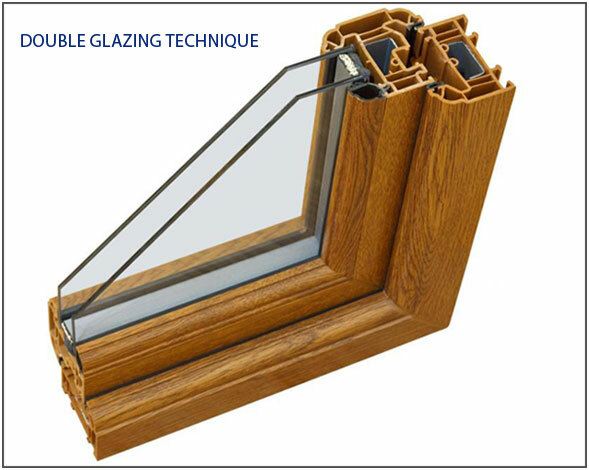 They come with various glazing options like single, double or low e. Double glazing is somewhat costly than single glazing, but on the other side it offers several advantages and overcome limitations of single glazed items and expand their efficiency and overall performance. Here I am putting some facts about Double Glazing technique in front of you. Double Glazing is a process in which a sealed unit is fabricated by “using two panes of glass” with containing space between both. The space between the panes traps air in it and the air acts as an effective layer of insulation against the weather and helps to maintain the indoor temperature. Following are top 4 advantages of double glazed Aluminium windows and doors over single glazed. Energy Efficient: Double glazing of doors and windows improves the insulation of the home up to 50% and significantly reduce the cost of heating and cooling. It also helps to reduce the greenhouse gases and remain a pleasant indoor environment. Reduce Noise Transmission: Double glazing offers excellent sound insulation, the gap between the two glass panes breaks the sound waves and effectively reduce the noise level either it is from busy road or from “unwanted neighbors”! Strong and Secure: Aluminium is a material with high strength to weight ratio and with double glazing it offers high security to the building. The internal wedge gasket acts as a brilliant security measure and ensures that the external bead remains locked, along with the effective protection from break-ins help to achieve more security. Easy Maintenance: Double glazed Aluminium doors and windows come with low maintenance, which means they will stay neat and appealing for years to come. It does not rust, peel or deteriorate over the time and won’t need to paint.